The front porch of your house can make or break your home’s curb appeal. Having a porch that is welcoming, fits the style of your home, and decorated in your personal aesthetic will make your home stand out in your neighborhood. No matter the size of your porch put a little thought into how you would like to decorate it and make it happen this summer. You won’t regret the time you put into it whenever you pull up to your house! 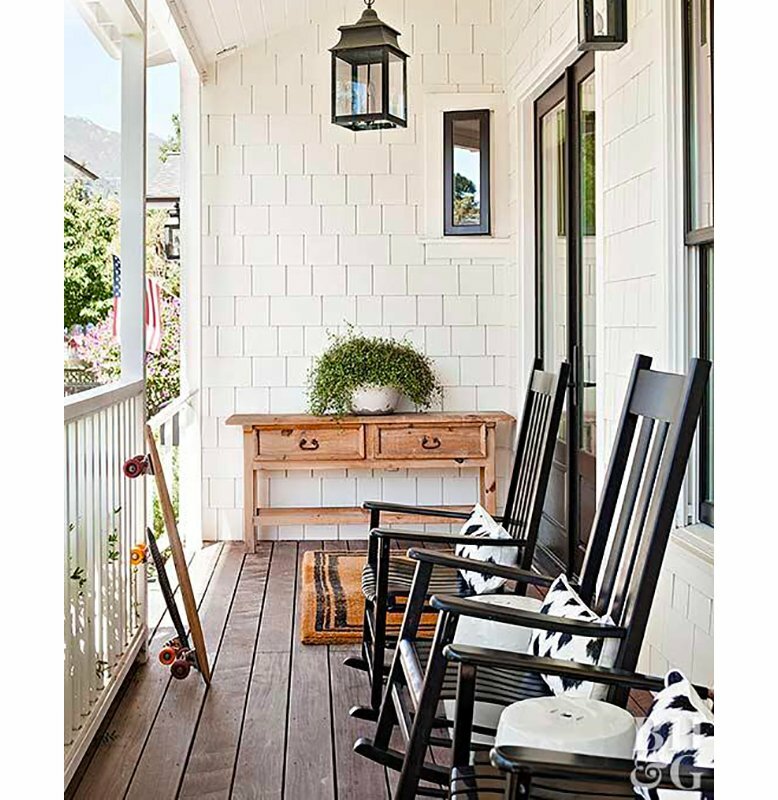 Check out some of these porch decor ideas and see if there is something you can use on your own front porch. One of the first things you can do to change up your front porch is to paint your front door. If you’re feeling brave, go for a bold color. You’ll love the pop it will give to your home! 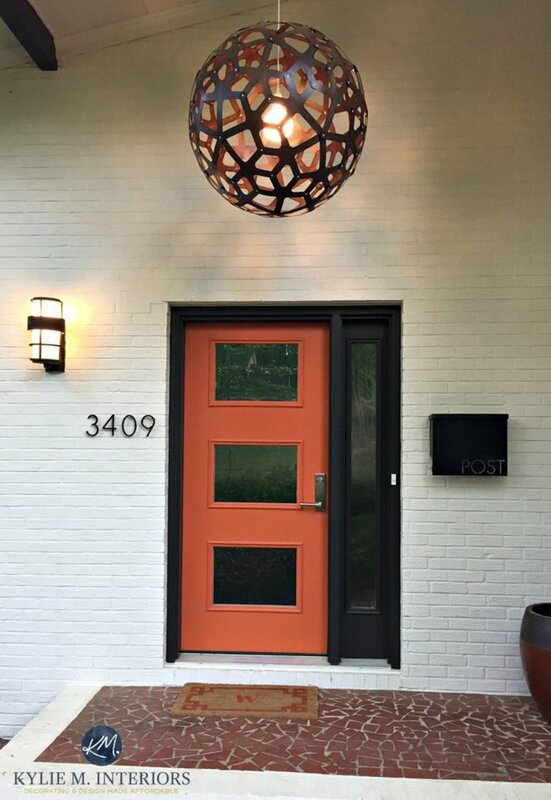 Even if the thought of a bright front door is too intimidating, a fresh coat of paint will give your front door and your front porch the facelift it needs. If you have a small front porch and don’t have room for any front porch furniture, get a couple of flower pots and fill those things up! 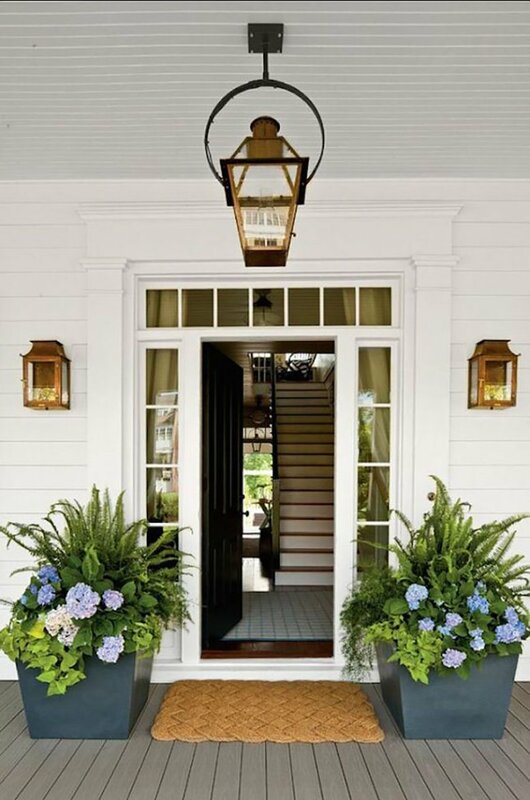 Flowers will brighten your porch and create a homey look. 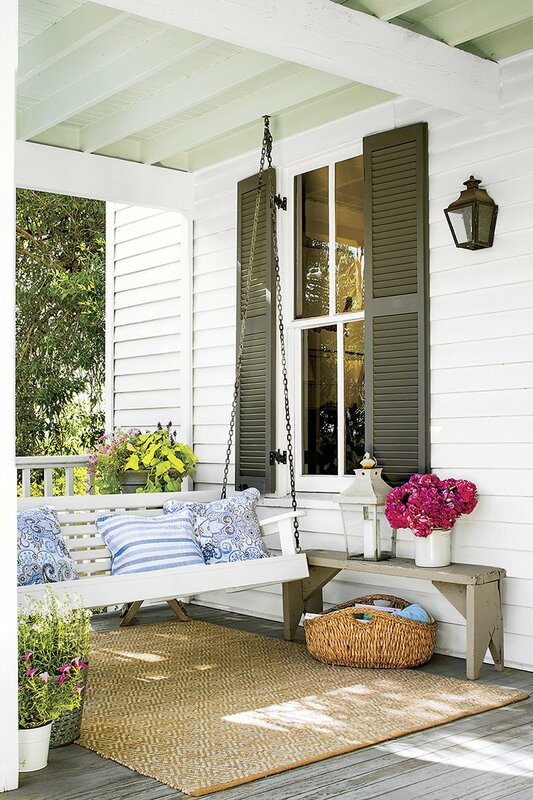 For large porches, think about including seating options. Put out a bench, a couple of outdoor chairs, or even a small outdoor loveseat and invite your neighbors over! With front porches that have sturdy ceilings, make your front porch as classic as possible by installing a front porch swing. Add a couple of outdoor pillows, make yourself some lemonade, and get ready to relax. Even if you can’t fit furniture or would rather keep things simple, consider changing out your light fixtures, hardware, and house numbers. 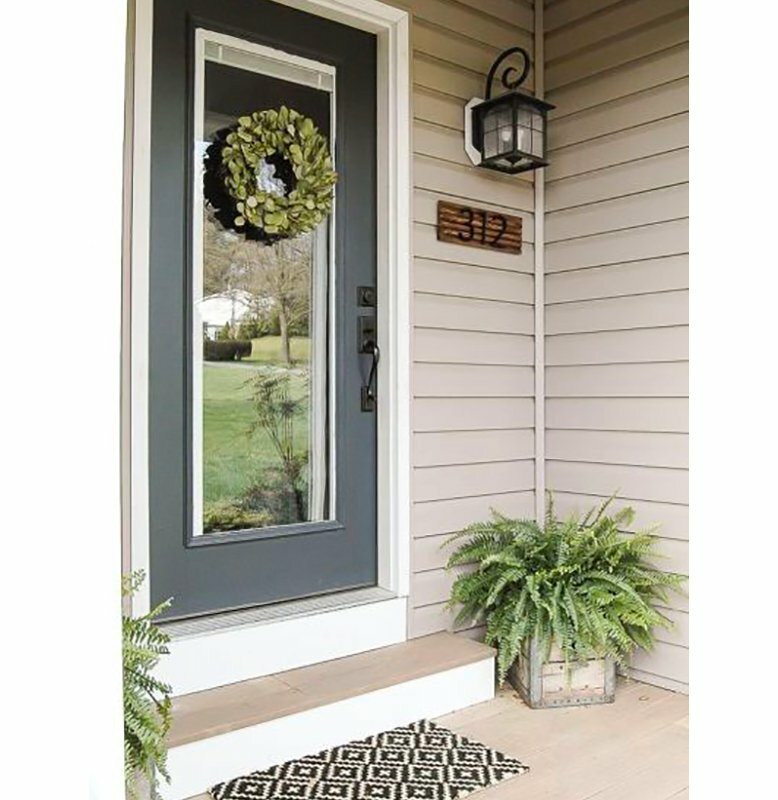 Just changing out these small things will update your home and personalize your front porch. 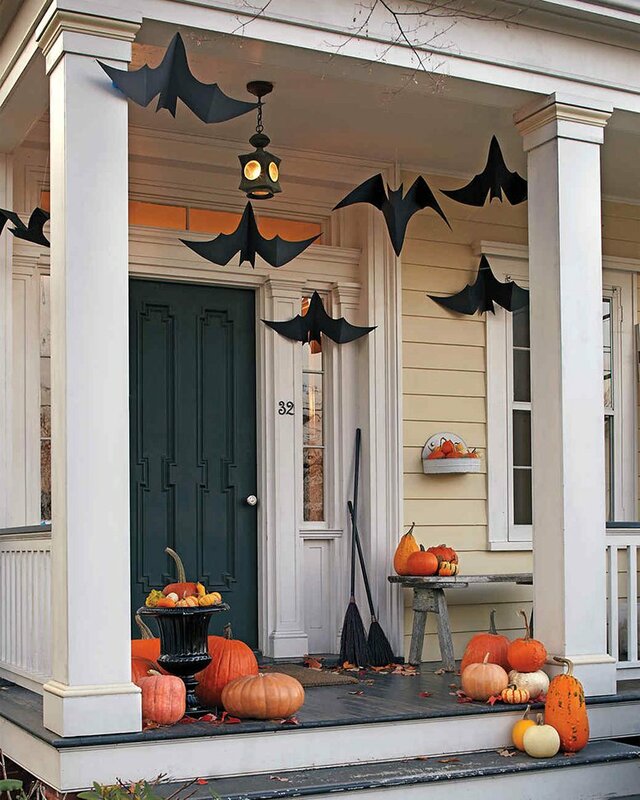 Finally, don’t forget to include seasonal touches to your front porch. Pumpkins in the fall, a wreath during the winter, or a flag during July will make your home feel festive and cared for. 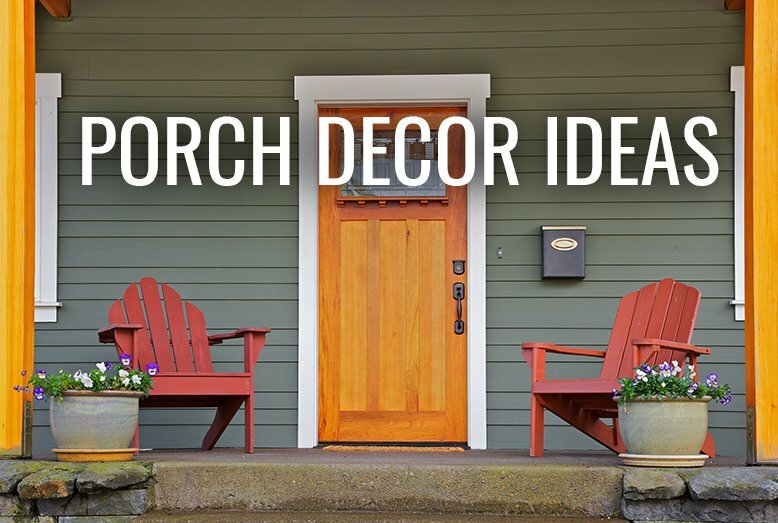 What are some of your ideas for front porch decor?